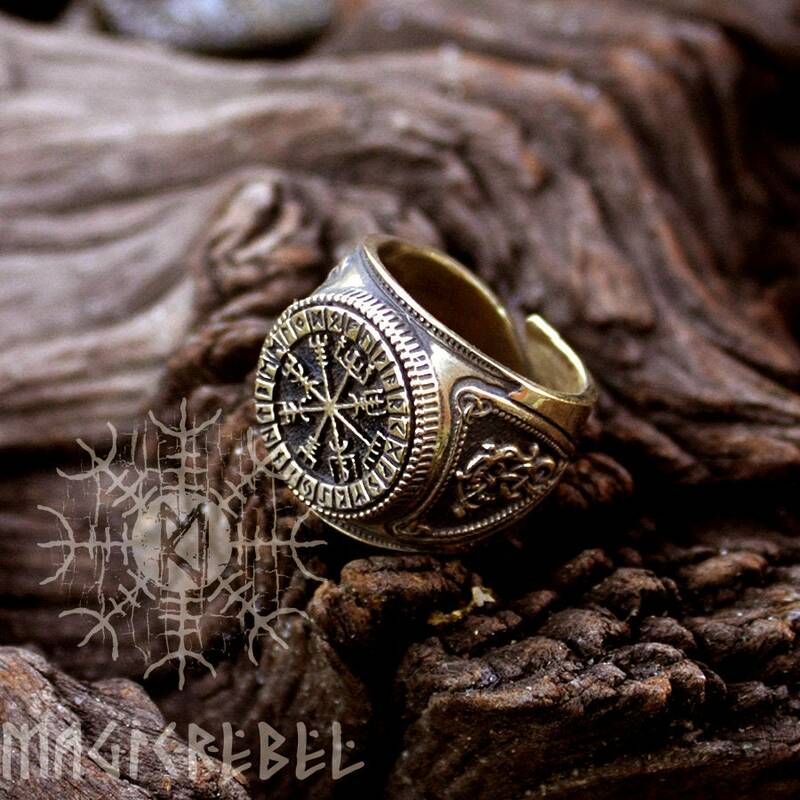 This is a real solid bronze 3-dimentional hand-crafted antique finish adjustable size ring. 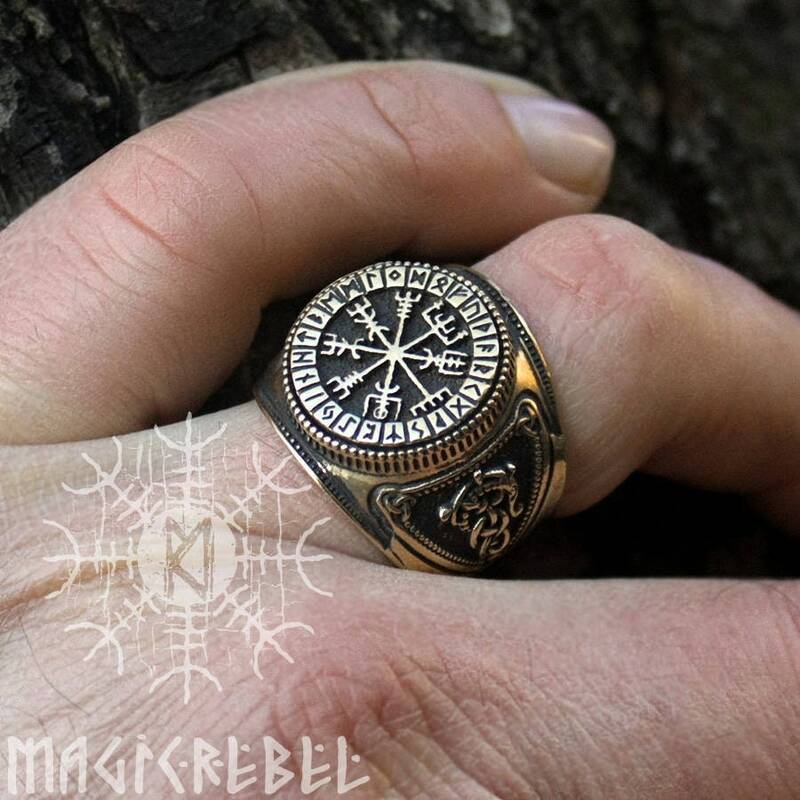 The Viking ring features a Vegvisir in the middle with the Futhark alphabet around it. 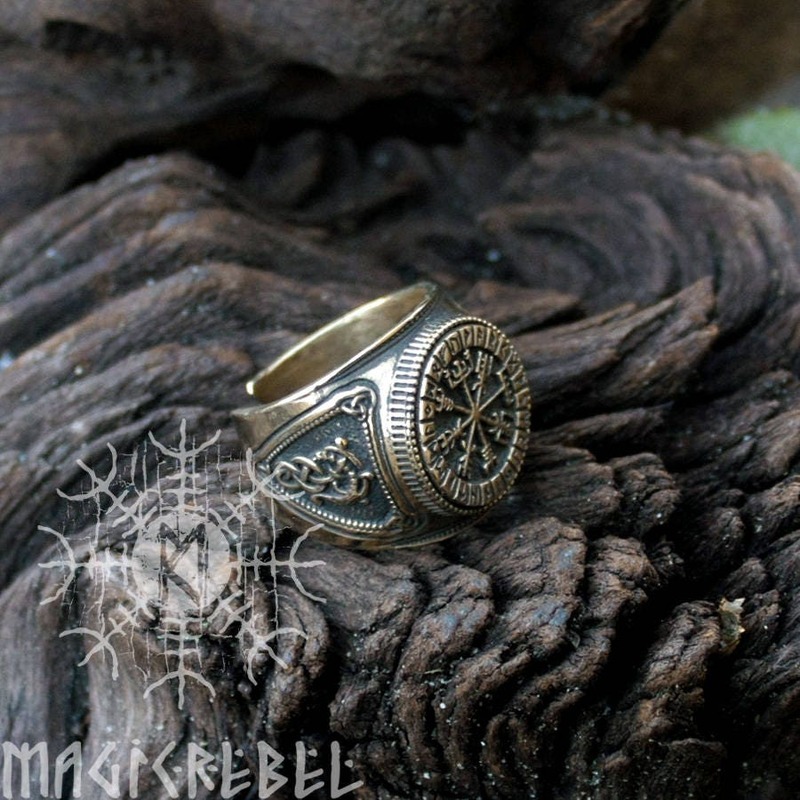 The ring comes in one adjustable sizes 9 US (18 mm) which can be adjusted up or down a few sizes. 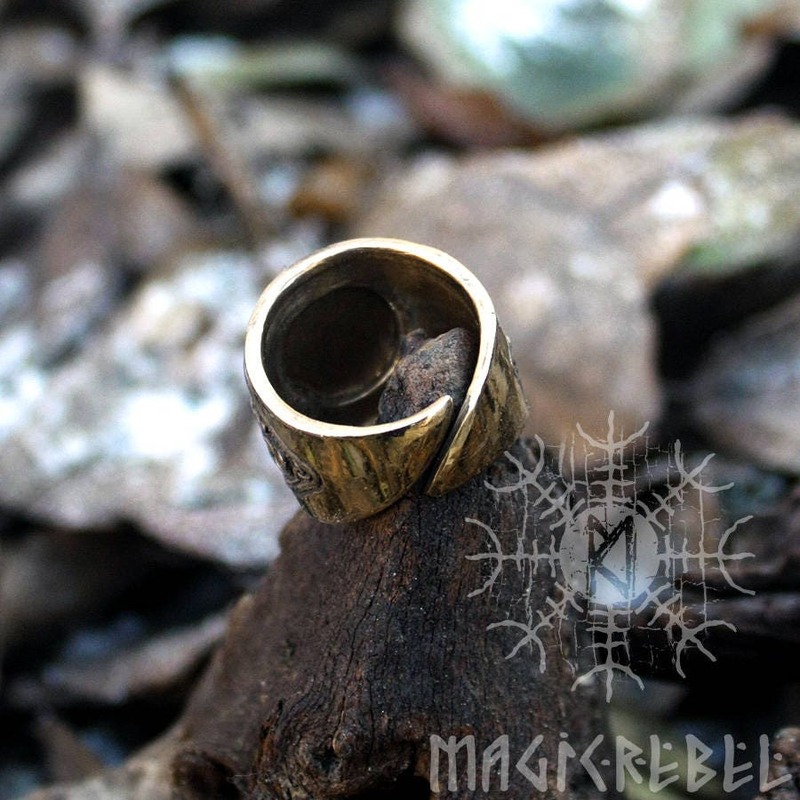 We don't make the rings in any other size. 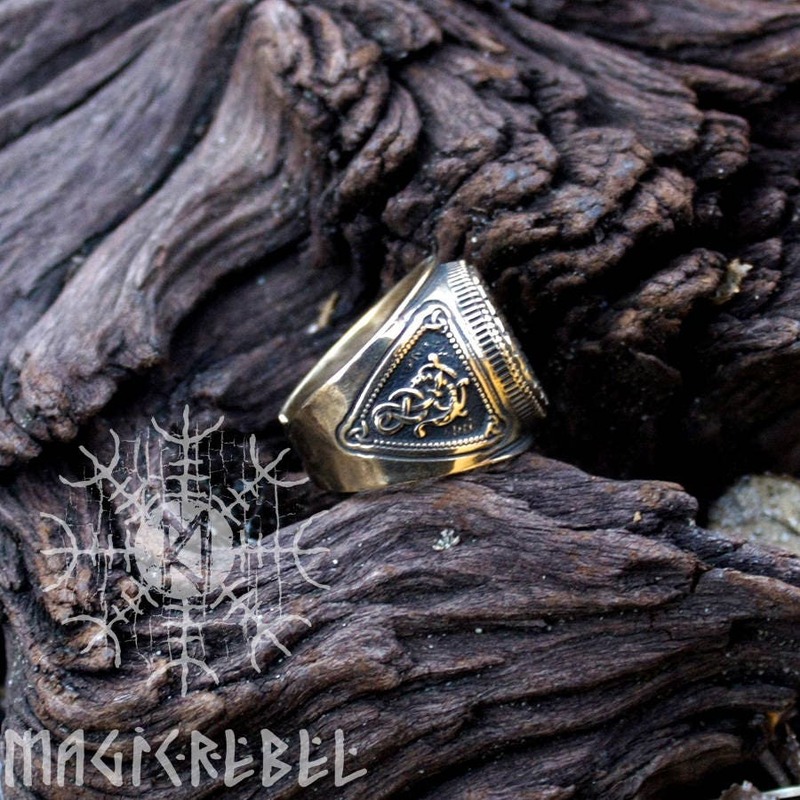 Ring weights about 18 grams.